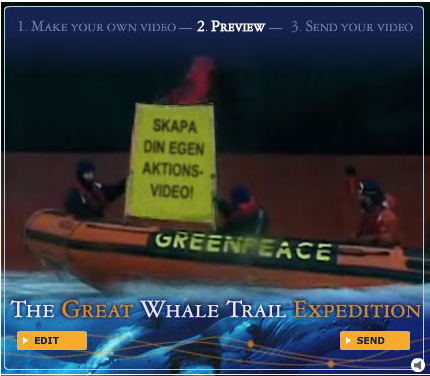 The idea is that you can write your own texts that are inserted in the Greenpeace campaign video, so you can send a personal message inside the video to your friends. This a a creative way of using video for viral marketing! Click the image to try it yourself. Greenpeace has probably borrowed the idea from Bob Dylan who made a very cool Facebook application where you can write your own text signs that Bob Dylan is displaying in his old music video. Idén är bra men det fungerade inte när jag försökte.